Solvent, mainly made of organic ingredients, is used as a thinner to adjust the concentration of paper cement. It can also be used to peel off pieces of paper that have been pasted together with paper cement. Solvent is sold in cans but it is useful to pour some of it into a special dispenser which is sold separately (to use in smaller quantities). The dispenser has a long nozzle and the stopper can be easily opened and closed. When using the solvent as a paper cement thinner, the mixture should be blended in a paper cement dispenser or similar item, sealed again tightly and placed back in storage. To peel off an object that has been bonded with paper cement, begin by lifting the corner slightly, inject the solvent into this gap and gradually peel the object off. 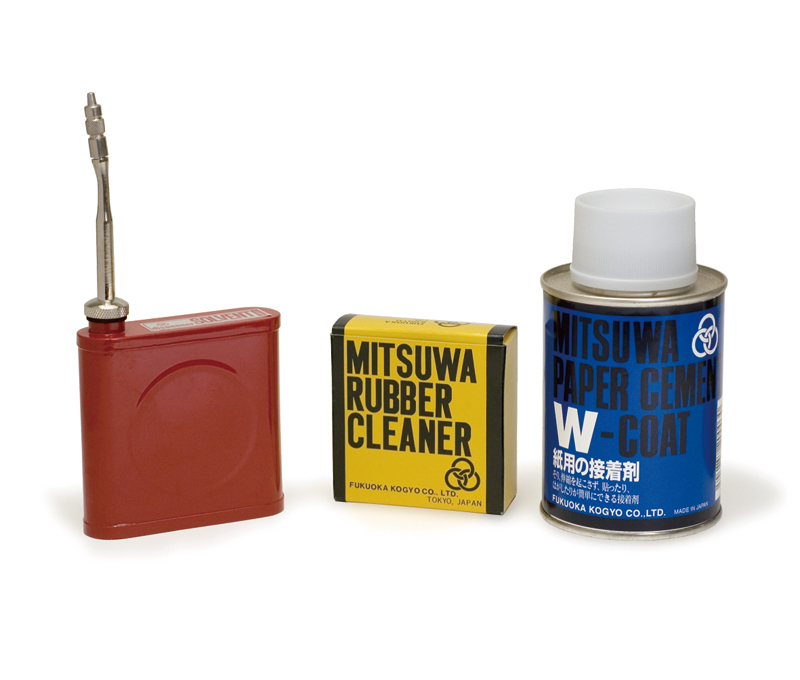 Any remaining paper cement can be rubbed off after drying using a rubber cleaner in the same way as a rubber eraser to return the paper surface to its clean state. When using solvent and paper cement, ensure that the room is well ventilated and follow the instructions indicated on the products. Make sure that the stopper is placed tightly on the container as the substance is highly volatile and flammable. 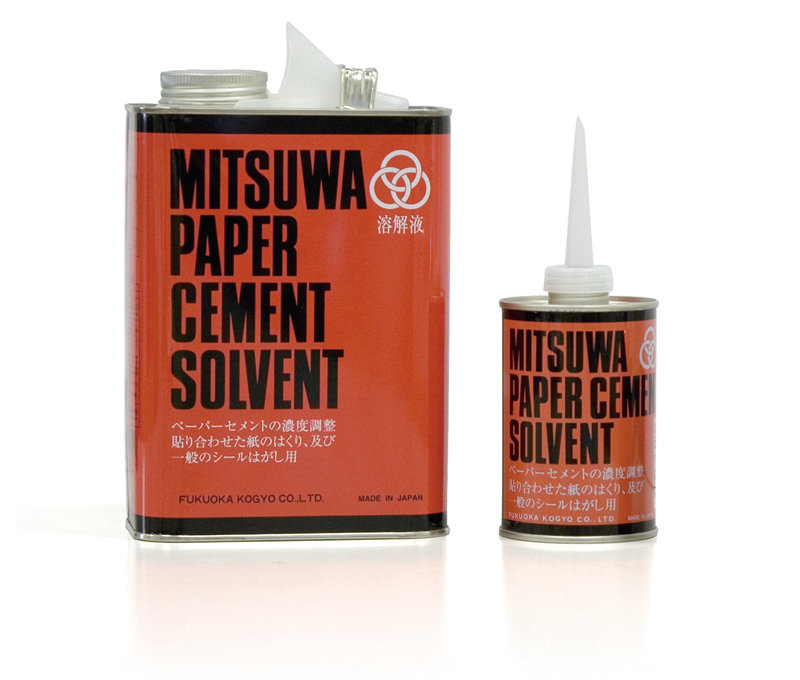 Solvent and paper cement can be purchased at art supply stores and home centers.